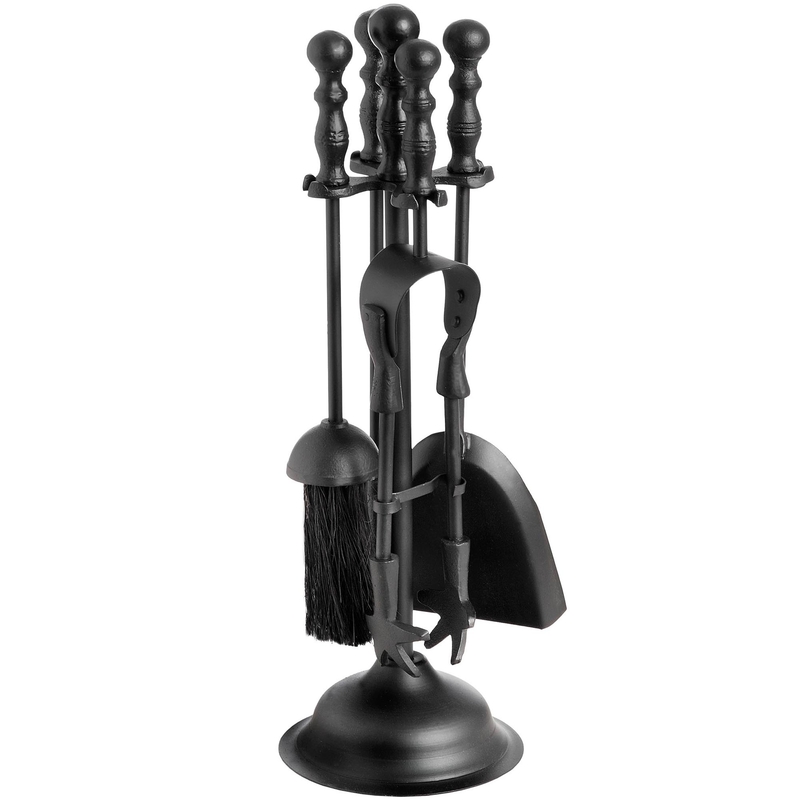 We are proud to introduce our new Black Duchess Top Companion Set. If your using this for a fire or even for decoration this fashionable piece will definitely make a statement in your home. Coming with tongs, a poker, a brush and a shovel which are all made from the highest quality steel. This piece also has quite a vintage style and each item in this set replicas a sword handle, giving us a medieval feel and a very stylish piece to complete your home.